So, if the environment is not good, the use of dynamic microphones rather than condenser microphone is more appropriate, or even headphone electret more appropriate. In addition, dynamic microphone near effect characteristics are relatively obvious, this may be an advantage in some areas, such as "very close feeling." Some people's voices, but with dynamic microphone recording more Naiting, perhaps the dynamic performance of the microphone has a more unique characteristics. (1) If you are singing, in order to get the professional quality of the recording effect, of course, you can choose professional large diaphragm and medium diaphragm condenser microphone. However, the premise is that your room decoration must meet some of the recording acoustics requirements, such as can not have background noise, can not have obvious echo and so on. If the above conditions are not met, please give up the choice of professional condenser microphone. If your room does not meet the conditions, you have to choose a condenser microphone, then prepare a bit of money to renovate your room to dig. 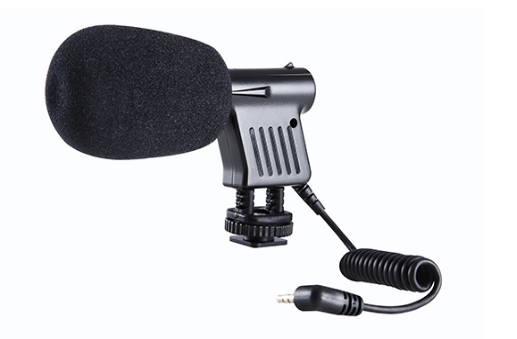 (2) If you are recording voice (radio, dubbing, podcast ...), if you have a choice, you can select the voice-only gun-type small diaphragm condenser microphones, which are generally super-directional, can easily record your voice and can not be recorded easily Under the background noise. However, the effect of recording their songs is slightly inferior to that of the above-mentioned large-diaphragm condenser microphone. (3) I suggest you choose a dynamic microphone if the condition of the room can not reach the acoustic environment in the front and the condition of the room is improved at the same time. Dynamic microphone sensitivity to environmental noise and echo is much lower than the condenser microphone. Normally, I recommend that home users choose dynamic microphones for recording, after all, not all families can easily achieve the appropriate recording acoustics. Dynamic microphone with good sound quality is not bad at all.